Yesterday was one of those days when I wanted to try something new. I wanted it to be a totally new sweet. So I thought of making halva out of some unexpected vegetable. I checked my fridge/freezer and saw I had 2 packs of frozen green peas which needed to be used soon. So I thought of making halva with them. The final result was very good. V could not stop eating it, so in my opinion, it was a success. After I finished making this, I wanted to see if someone else had made this before. I googled and found this and this. So, I was not totally crazy to try something like this afterall :). 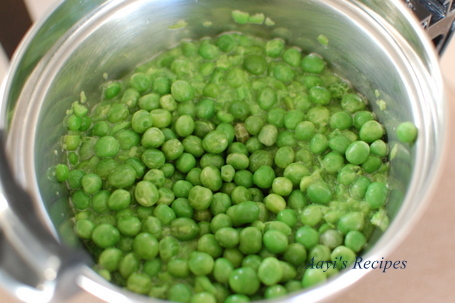 Microwave green peas with 1/2 cup water for 5 mins (or cook on stove top for 5-6mins). Grind to a smooth paste. Heat the paste in a thick bottomed pan. Keep stirring for about 10mins. Then add sugar, cashews. Cook it for about 15-20mins, taking care not to burn it. Keep stirring often. 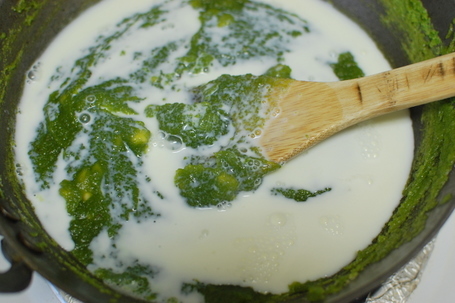 Add ghee, milk and stir it. Cook till the mixture looks quite dry. Add cardamom powder, mix well. Serve. PS: – This sticks to bottom of the pan very quickly. So keep stirring it. – The sweetness largely depends on the sweetness of the peas. I used the green peas from Indian store (not the sweet green peas from American stores). Start with 1 cup sugar, taste it and if required, gradually increase the sugar. – I used a big pan to give me enough room for stirring. Wow, Shilpa, you sure think out of the box! Lovely!! 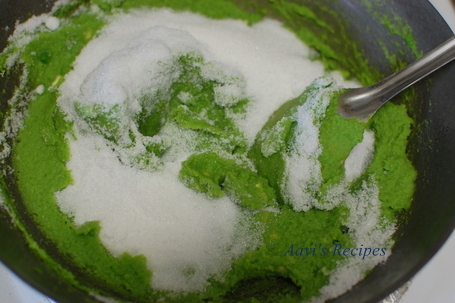 You have gone ahead of Chef Sanjeev Kapoor he has in one of his posts made Peas Kheer!! Never thought of this recipe,innovative and super dish..
What a wonderful way of making peas likeable! Hope u all had a wonderful Diwali! 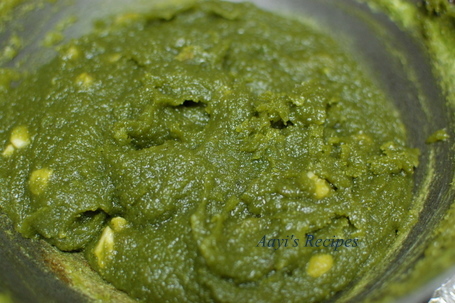 Green halwa looks absolutely divine..
Peas halwa, sounds bit different but will give a try once to taste it. Good on you for trying out of the way recipe. I have eaten ‘matar vadya’, which would be a step further from the halwa, where the halwa is cooked even more, patted out on a sheet and cut into pieces. So, oh gosh, you are not crazy at all! I remember the vadis tasted great, so I am sure your halwa did too. Well tried it today for diwali. Came out good I must say. But it’s extremely sweet for us .. I would reduce sugar by a cup! I had a difficult time while making this as the mixture kept splashing out and it burned badly everytime a bit fell on my hand while stirring.I had decided I wont make this again because of all the splashing, but it tastes good, so might try it again sometime but with lot less sugar of course. Very different recipe. I will try your apple halva next! Did you use the sweet green peas available at American grocery stores? I used the normal ones from Indian store. Wow, want to try this. never heard of this!!! can try making a very small amt and see if we like it.. the photo looks lovely indeed! 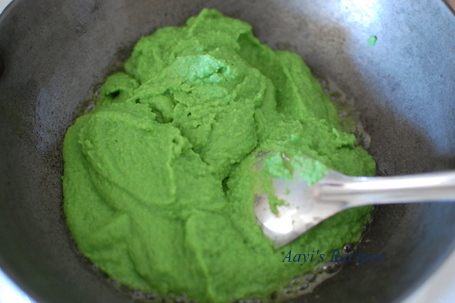 Tried your Green Peas Halva…it was so yummy…. instead of whole milk and sugar i tried with condensed milk….. Very innovative, I would never have imagined apeas halwa, the colour is so vibrant and spectacular. 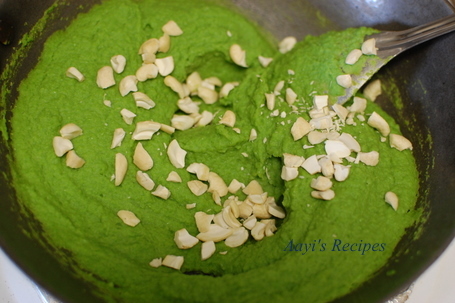 just letting you know that this site has copied your recipe of green peas halva.. 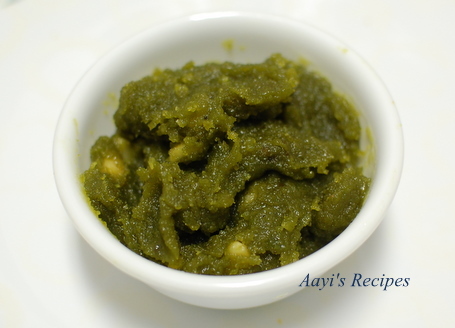 I have eaten green peas halwa all my childhood as my mom made it. You may have discovered it on your own. Your halwa does look good. But you need to roast it a little more I think as it has to be deep green and it is very tasty as you say. You did inspire me to make it and ask my mom for her recipe. Very tasty this halwa and its good for health too!! !